Physical therapy (also physiotherapy) is a health care profession that provides treatment to individuals to develop, maintain and restore maximum movement and function throughout life. Physical Therapy is the health care profession that provides treatment to individuals to develop, maintain and restore maximum movement and physical well being throughout life. Physical therapy treatment includes hands-on manual therapy, therapeutic and corrective exercise, patient education and modalities. 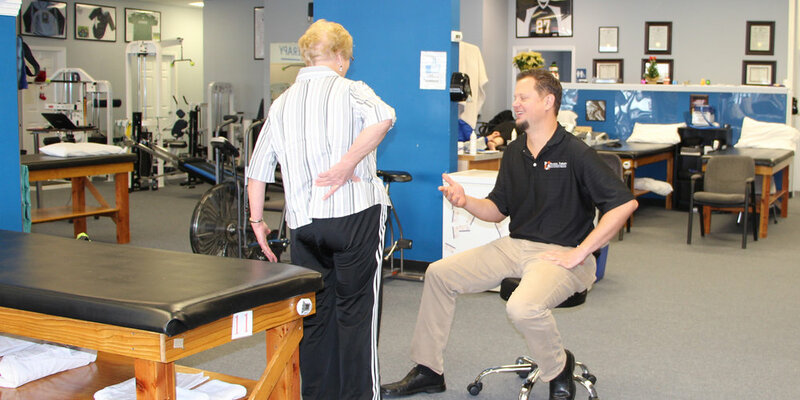 At your initial visit, your Elite Physical Therapist will take your relevant medical history and perform an exam to arrive at a physical therapy diagnosis and establish a treatment plan. During each therapy visit, your PT will re-assess your status and progress your treatment to reach your therapy goals.